Oman is a destination which is filled to the brim with lots of exciting adventure activities for adrenaline junkies to try. With vast deserts, unexplored cliffs, towering mountains, craggy wadi and deep blue lakes and seas, the country is a blessed with the boundless beauties of nature. Whatever flavour of adventure your desire, you’ll find it in the Sultanate of Oman. 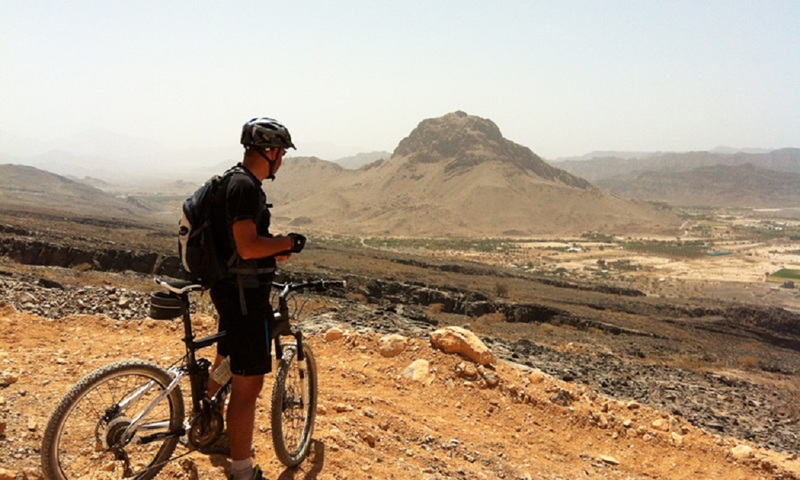 Here we present you a list of adventure activities to try on your next visit to Oman. 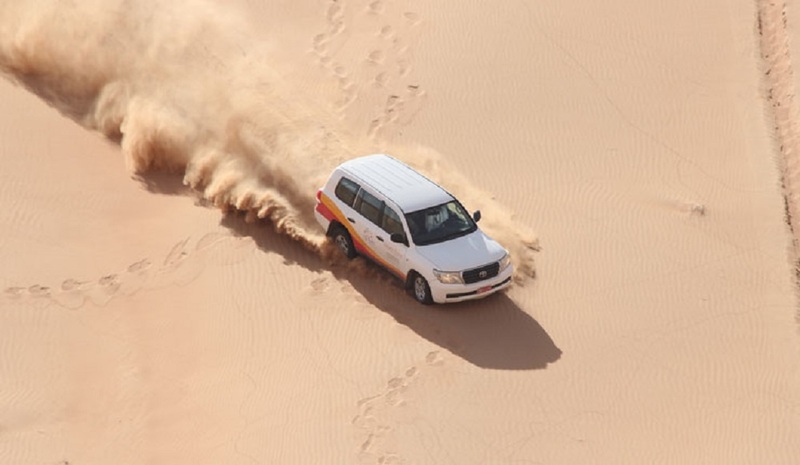 Dune bashing or desert driving is a thrilling experience where you get to test your nerves in the vast spread of sand. Zahara Tours is a leading desert safari tour operator in Oman with a vast experience of arranging fantastic dune bashing tours. Our vehicles take you through the wilderness in a dashing drive that keeps you holding onto your the edge of your seats and screeching as you go up and down the dunes. The sand dunes of Oman’s desert offer a terrific experience that you won’t forget during your entire lifetime. It is a rough and tough drive, but our well-maintained 4 X 4 vehicles and highly-experienced drivers make it absolutely safe! You will be amazed by vast emptiness of the Sharqiya desert where there is nothing but rolling dunes extending to the horizon. It’s the ideal activity for both experienced thrillseekers while remaining perfectly safe for those looking to add a little for zing to their holiday. However just because we say its a safe activity don’t think that it is just a long drive through the desert; There is plenty of excitement to be had as you ride the waves and it is an activity best undertaken with the guidance of experienced drivers. Afterwards, you can take a trip to Bedouin settlements to learn about desert living or combine this with a stay at a desert camp. Zahara Tours can arrange for a well-planned tour for you and that is the reason it is a high-rated tour operator of Oman. With high dunes and long sand valleys, you'll never get bored of adrenaline-fuelled dune bashing in Oman. Experience the breathtaking sands that lie in enormous Wahiba desert with Zahara Tours on one of the many dune bashing trips, or choose to tackle the dunes during your stay at 1000 Nights Camp, Arabian Oryx Camp, or Desert Nights Camp. Since its beginnings of its popularisation in the 1970s, mountain biking has become an increasingly popular adventure sport that is today practised by many enthusiastic cyclists across the world. Here in Oman, an increasing number of bikers have discovered the charms of Oman’s expansive landscape and are choosing to head to the country to get a taste of its charms. Apart from the vast Al Sharqiya sand desert, Oman is also geographically defined by the Al Hajar Mountains which form a major part of the geographical setup of the country. At their highest point up in the Musandam Peninsula, the Hajars reach a height of 2,000 metres and it’s in these peaks and valleys that you’ll find many graded tracks used initially by four-wheel drive’s which make for the perfect terrain for cross-country MTB in Oman. These tracks are typically the width of a car and provide enough space for two cyclists to ride next to each other. The tracks vary greatly in difficulty, with being easily doable even if they do become steep at times. At some routes, the tracks cross wadis which makes them more strenuous to ride as the trail is harder to follow without an experienced guide. Over the past few years, many new tracks have been built to serve larger infrastructure projects; although they may be not picturesque, they are often quite challenging to ride and it’s fun to access new areas. Occasionally, sand from the nearby desert can be blown over a track, which makes cycling more difficult. Other than these, the remains of old donkey routes and walking paths can be transformed into popular single trails after some cleaning and trail building. Many believe the Sultanate of Oman to be made up of tiny cities surrounded by a vast, arid and barren desert, but what most don’t realise is that Oman is a region with a varied, beautiful landscape, and tourists need to learn that the most stunning scenery in the country is only available to those who are willing to walk for it. 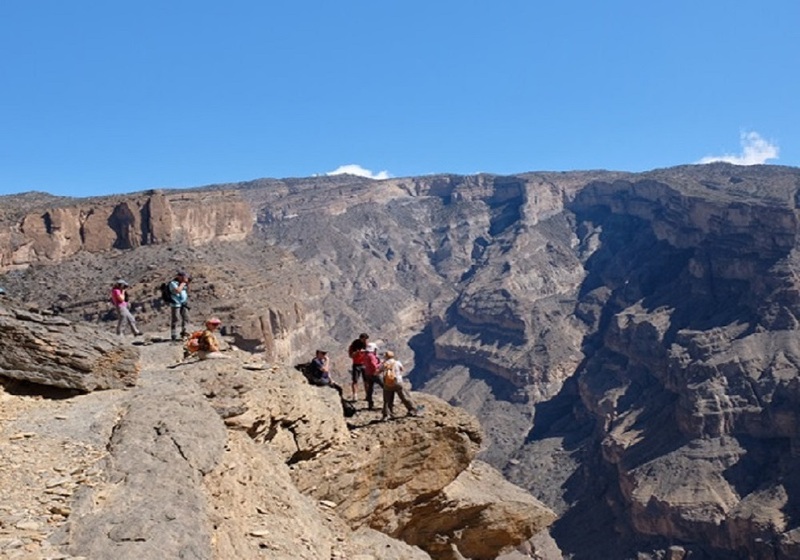 With perfectly suitable temperatures for nearly nine months of the year, with cool evenings suitable for willing campers, Oman is the perfect destination to plan your next hiking holiday at. Some of the best trails can be found near the Wadis with both easy and difficult trails to choose from. Once we mention Wadi’s, we should clarify that they are an adventure in themselves. On a long, hot afternoon, there’s nothing more refreshing than plunging into a wadi pool – its cool, clear water washing away the dust and heat of the day. Shaded by date palms and fruit trees, these natural oases are absolutely adored by most Omanis, who will head to these beautiful slices of paradise for picnics, parties, and impromptu diving contests. If you ask for recommendations, you will be inundated with choices, as everyone has their own personal favourites which they’ll be glad to show you the way to. Some of the best Wadi’s are difficult to reach without a guide and we promise that they are worth the effort as you will realise when you gaze upon the clean blue and green waters or go exploring through caves and cliff-like structures. 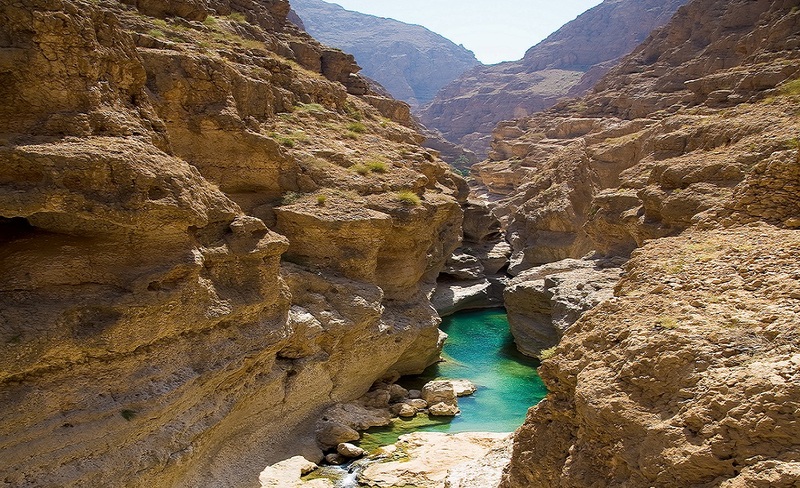 Some of the popular Wadis include Wadi Ghul, Wadi Arbayeen, Wadi Bani Khalid, and Wadi Shab among others; Also if you have the time you should definitely head to the Bimmah Sinkhole for a delightful evening. The unspoiled sea-life and coral of Oman offer a safe, cheap and friendly place to go diving or snorkelling, and are typically more accessible than similar destinations in the Pacific island area. The ocean temperatures of the Gulf of Oman and the northern Arabian Sea tend to remain fairly comfortable with temperatures in November averaging at around 28 degrees Celsius, which gets even warmer in the summer months, i.e. July to September. Some of the best times to plan your snorkelling trip in Oman lies between November to January when the water temperature and visibility are at their very best. The clear waters also help you spot some of the increased numbers of sharks and dolphins in the region at these times of the year. A trip to one of the nine beautiful Daymaniyat Islands is one of the most popular diving spots with the islands lying some seventeen kilometres from the coast, which is only about half an hour by boat. The city of Musandam is another great destination for diving enthusiasts with turtles, whale sharks, hammerheads, and eagle-rays all on view. 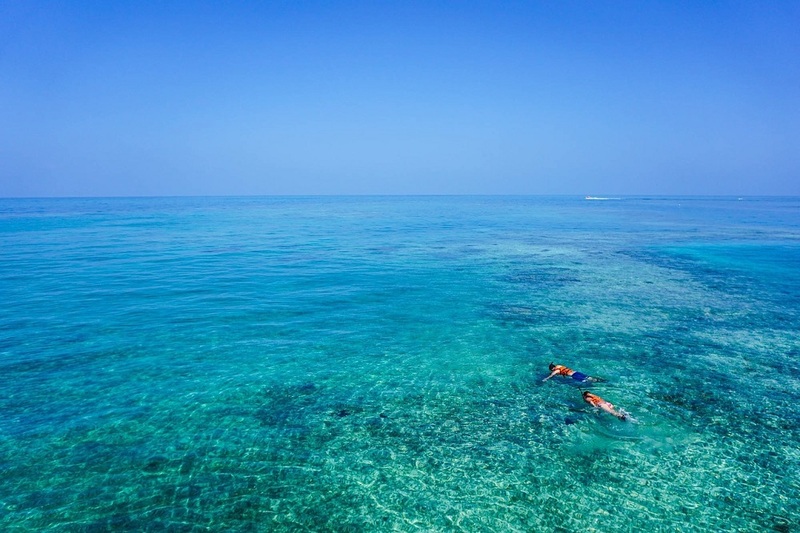 Those that believe that scuba diving is too much for them should try snorkelling to view the beauty beneath the waters, where they are home to eye-popping underwater corals, fishes like parrotfish, wrasses, and striped sergeant fish, and even rarely clownfish or even a thrilling swim with rays, leopard sharks and cuttlefish. 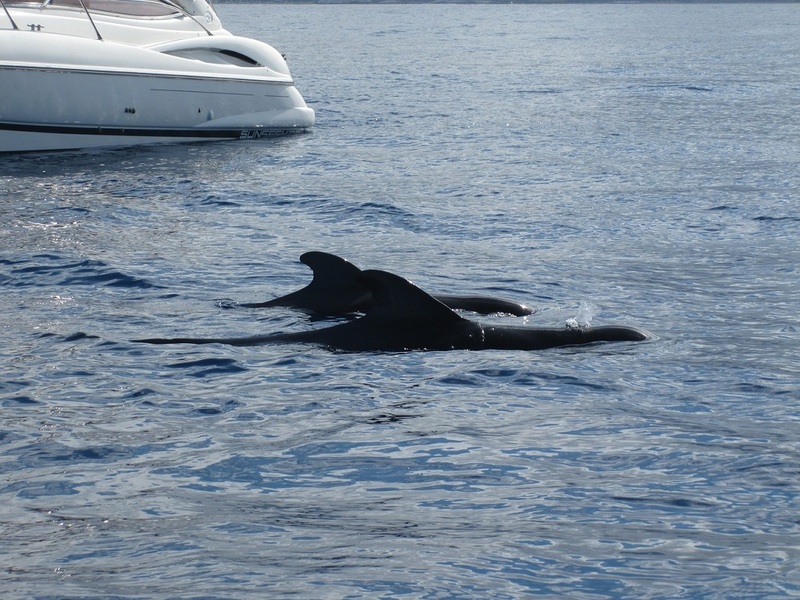 You can opt for Whale Watching and Dolphin Spotting tours in Musandam, Ras al Hadd, Masirah Island and Dhofar. On these tours keep your eyes peeled for those rare sightings of these migratory beings that travel these routes each year. The vessels used for dolphin spotting tours around the country can range in size from small, open-decked boats with outboard engines to larger and more traditional wooden Dhows; The majority of these tours are based out of Muscat and typically last for somewhere around two hours, or longer if they are combined with snorkelling or other types of coastal sightseeing. In the Muscat area, spinner dolphins are spotted year-round. Several other species are also often encountered such as common bottlenose dolphins, Risso’s dolphins, Bryde’s whales, false killer whales, sperm whales and, more rarely, killer whales, blue whales and Arabian Sea humpback whales. Indo-Pacific humpback dolphins and Indo-Pacific bottlenose dolphins are spotted year-round in the shallow water inlets of the Musandam peninsula in northern Oman and either or both species are spotted seasonally, between September to May, along the shores of mainland Dhofar in the south of the country. Arabian Sea humpback whales are only occasionally seen, and that too almost exclusively in Dhofar. 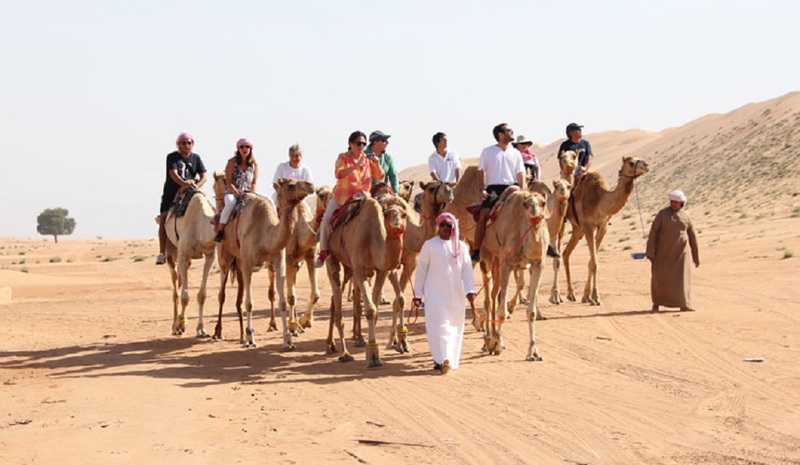 For a slower but no less fascinating experience, camel tours of the Sharqiya Sands can be organised with the local Bedouins, whose knowledge of the local area is second to none. It is one of the most unforgettable and enchanting experiences you can have in Oman, riding through the rippling, windswept desert on camelback and afterwards choosing to either camp out under the stars or head back to your hotel. Taking a camel safari will also give you the opportunity to witness the rustic, rural desert life of Oman. While the desert can be barren, it's also surprisingly well populated, with a surprising amount of vegetation and wildlife to be seen including a number of migratory birds crossing over during the appropriate season. 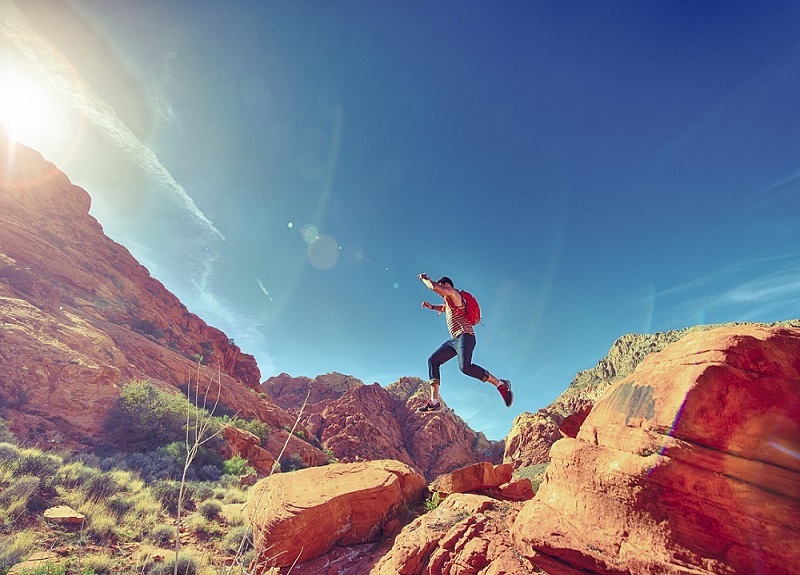 Many other exciting adventure sports such as paragliding, river-crossing, camping, and more are also available in Oman.